Set against the 2011 virus that kills 99% of the world's populace, and in the last city on Earth, Bregna, the survivors, some four hundred years later, in the year 2415, are continuing to live in the Goodchild dynasty, the name of the scientist who developed its cure. All is not well in this utopia and it is not what lies beyond its high walls that protects its citizens from the never ending jungle but what unspoken, unwritten taboo that holds and binds these unfortunates' together that lies within these walls of paranoia, conformity and unquestionable obedience. Filmed in and around Berlin, ironically, this is a story set against a totalitarian state, a walled city, where its peoples are no longer capable of reproducing, and its sinister and most secret plot of how it sustains life. 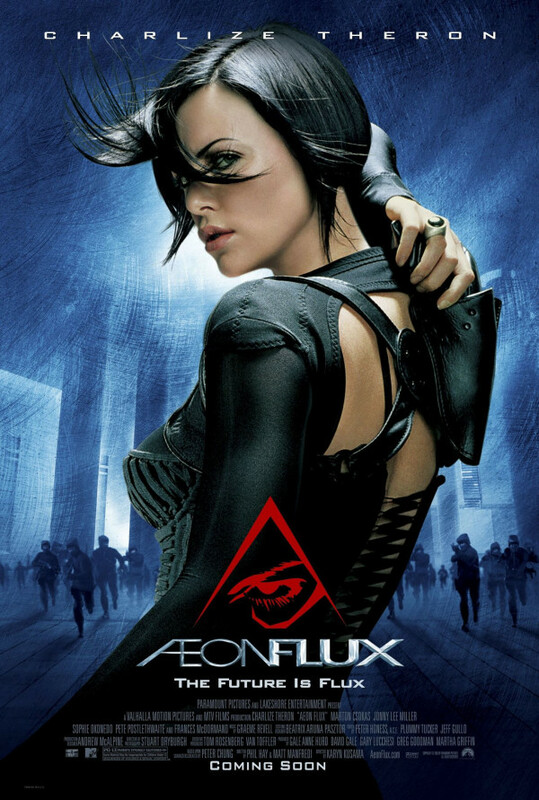 Æon Flux is the assassin that has been assigned by the underground rebels to change the course of Mankind, forever. This is the story of her fight for justice, freedom and revenge.